*This post contains affiliate links. Purchases made through the links help me support my family at no additional cost to you. Thanks for your support! Click on a picture to find the book on Amazon. Christmas-time is here, happiness and cheer. Fun for all, that children call their favorite time of year. One of my FAVORITE ways to celebrate Christmas is with a book. Every year I pull out my tote full of Christmas books and place them on the bookshelf in our family room. The kids are always excited to find their favorites – books they’ll read over and over throughout the month. 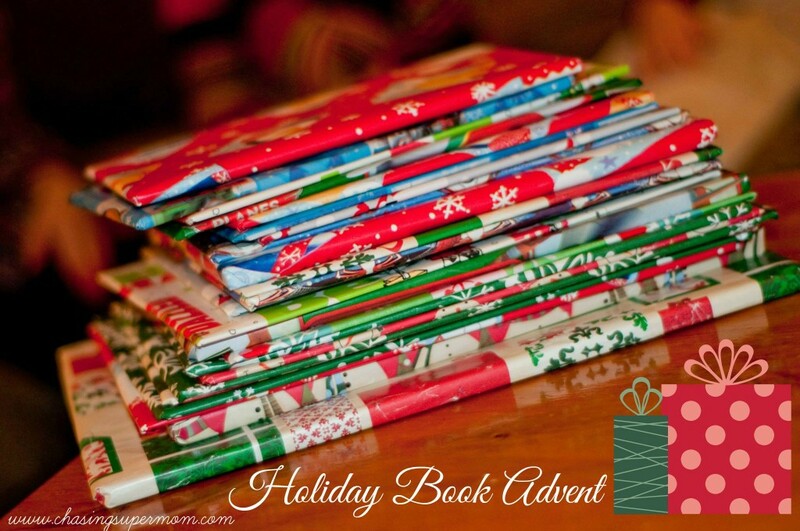 Some years, we do a Christmas book “advent” of sorts, where the kids open one wrapped book each night. You can find out more about our Christmas Countdown Book Advent and start thinking about creating one of your own for next year. Whether you’re counting down the days until Christmas with books, or simply enjoying them as a family at bedtime, a great Christmas story can really help bring the holiday spirit into your home. I’ve compiled a list of some of my favorite Christmas books. Interested in one of the featured books? Simply click on the picture and you’ll be taken to Amazon, where you can purchase it. We were able to preview this adorable book through Zonderkidz. The pictures are absolutely adorable and the story is just right for young children. I love that this book shows the wise men coming several years later, rather than on the night of Jesus’ birth. Christmas in the Manger is a sweet little board book. It’s been a favorite of all four of my kids over the years. I absolutely loved Mary Engelbreit growing up, so I was thrilled to receive this book from Zondervan. The story of Jesus’ birth is told through adorable children in a nativity play. My kids LOVE The Berenstain Bears – and this new book in the series is wonderful. This is a fantastic bedtime story. The story is peaceful and calming. I love the way the animals welcome and make room for each other – leading up to making room for “Tired Donkey” who is carrying Mary. This book is EXTRA special to me because my HUSBAND wrote it!!! This is a beautiful story about advent and the birth of Jesus. He so skillfully weaved the messages of advent into this story. The purchase of this book supports our small church. I encourage you to click the book image and buy a copy!! I can’t say enough about Jotham’s Journey. We read this book to correlate with Advent last year, and were all mesmerized by the story. The author so skillfully places you in biblical times- introducing you to people and events surrounding the birth of Jesus. This is a must-have for Judeo-Christian families. This is really a longer story than a chapter book, but the length makes it less suitable for a read-aloud. I LOVED this book as a girl. A little girl, a doll, and a special couple all have a Christmas wish – and their wishes are granted in the most touching way. This one may be a bit harder to find at a good price- but I encourage you to try! I loved this book growing up, and my students always enjoyed it as a holiday read-aloud. Super-cute story told from the point of view of three clever mice. This is a newer book that is a great option for your tween or middle-grade reader. One of my all-time favorites. This book is literally FULL of surprises. Each letter the postman delivers (to nursery rhyme and classic storybook characters) contains something tangible your child can read, touch, or play with. A must-have! A classic! I loved this book long before it became a movie – and often used it to teach about descriptive writing. Chris Van Allsburg is a genius. This book just might make your heart grow three sizes. 😉 Love the Grinch? Check out my Grinch Cookies and Activities! I think every house needs a copy of The Night Before Christmas. I grew up having my mom read the story to me every Christmas Eve, and I now do the same with my kids. There are so many versions of this book, but this one is really special. My mom collects Robert Sabuda pop-up books and they are just exquisite! Everyone needs a Rudolph book! We have multiple versions of Rudolph, but this one is my favorite! Another Christmas classic. There are lots of versions of Frosty the Snowman in print, but this is my favorite – as it was the version I had as a child. This book is full of absolutely gorgeous photographs. Love that this book gave my kids a glimpse of our Norwegian roots in this soon-to-be-classic story. I just love Little Golden Books and absolutely everything vintage. This has been a favorite of mine for years – and my kids love looking at the pictures! It’s hard not to love little Olive – and her adventure to join Santa’s reindeer team (where she is certain she belongs!) A cute read. It wouldn’t be Christmas in our house without A Charlie Brown Christmas. A classic and must-have for holiday book collectors. Looking to find some Christmas books for YOU? 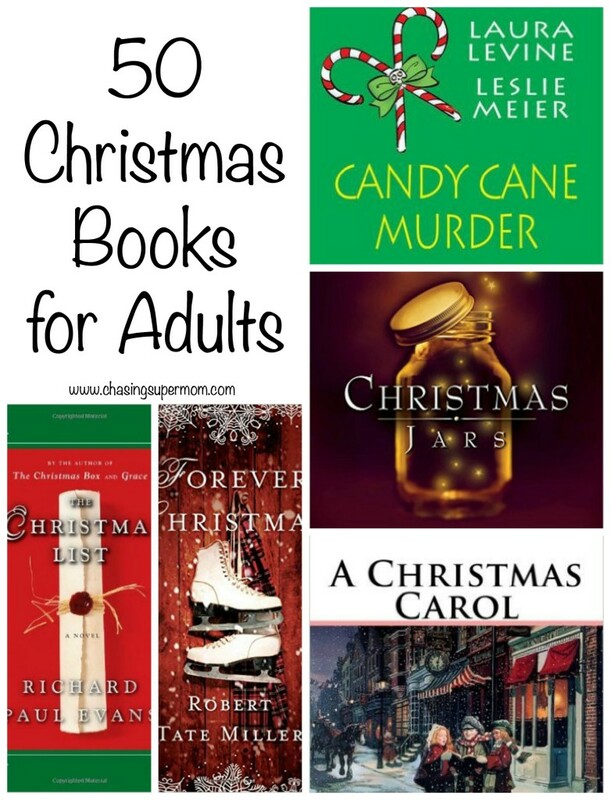 I came up with a list of 50 Christmas books for adults. From light-hearted fiction to murder mysteries, the list has a bit of everything. Happy reading!